Easter Wineries & Vineyards is a historic company in the production of wines from the Veneto and Italian quality, a leader in the Italian market and abroad. A family passion. Almost a century of history. The Easter story Vineyards and Cellars begins in 1925 when the first generation of brothers Easter arrives in Verona with the aim of founding a company dedicated to the sale of wine from their own homeland, Puglia. From the sale of the wines you get to the foundation of a real wine cellar. 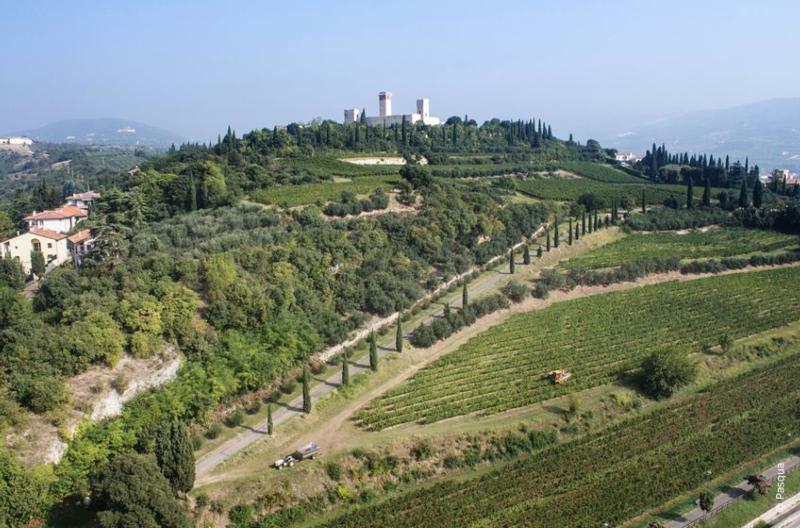 In a few years the company stated in the Italian wine scene with the acquisition of new vineyards in the area of ??Verona. In the 60s he joined the company the second generation, which brings openness to exports and an orientation towards quality. The birth in the 80s of Cecilia Beretta, farm and cutting-edge research center for research on varieties, grafting and vineyards, is the symbol of the continuous pursuit of excellence. In the mid 2000s the company made a major investment, which demonstrates the rooting in their territory, with a new wine cellar and production facilities in San Felice, in the heart of its vineyards. With the arrival in the company of the third generation, composed of Richard Alexander, Cecilia and John, it has further strengthened the focus on international markets, which culminated in 2009 with the creation of Easter Usa LLC in New York. Currently the company operates in 50 markets worldwide.